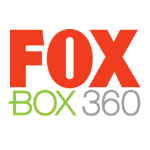 Foxtel, the main Pay TV provider here in Australia, recently partnered with Microsoft to bring their TV platform to the Xbox 360. This service works over IPTV instead of using the traditional satellite or cable systems that Foxtel would normally use. To me, this is a big advantage due to not being in a cable service area and renting at the moment, I wouldn’t have to sign up for at least a 12-month contract to pay for the installation. I was pretty excited when they announced the partnership as I had been wanting a decent IPTV service for quite a while. Well, it was finally released just a few days ago and I jumped on it. The problem is, it’s not really Foxtel. There are a few big draw cards for using the Foxtel service. These include their “Red Button” service, which allows the viewer to interact with the stream and access things like local news services, alternative music styles on the music channels, etc. This service is just not included on the Xbox, even though shows still tell you to press the red button to access extra options. Another big thing is their sports coverage. As many people reading this would know, I am a Chelsea FC fan and I would love to be able to watch their games live without using crappy online streaming services that are just horrible quality. This is the thing that really annoyed me. Instead of including the same sports content as the people who pay for their traditional service get, they decided to create a new channel dedicated to the Xbox called FOX Sports Play. This channel doesn’t have anywhere near the amount of sport available as the traditional broadcast. It also does not show Premier League games live. Of course, there was nowhere that said any of these things before I paid for the service for a month. While I understand that it is their first foray into IPTV and they may not get it right straight away, making people pay about the same price for a really substandard service is just wrong. This service doesn’t feel like Foxtel, it feels like one of the cheap alternatives, just not so cheap.